We have spent over a year living in northern Thailand in the city of Chiang Mai. We decided to live in Chiang Mai for many reasons, but one of the main reasons THAI FOOD. Let’s get real, Thai food is amazing. Whenever someone asks me what are some must-do things in Chiang Mai, I tell them to take a Chiang Mai cooking class. A visit to northern Thailand should include taking a Chiang Mai cooking class. I know what your thinking, who wants to go to “school” or “cook” on vacation. Well, here is 6 reasons why you should take a Chiang Mai cooking class. 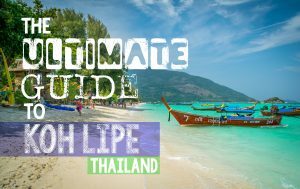 Let your taste buds go on vacation and explore some new Thai dishes you didn’t know existed. Pad Thai is good but there are tons of other dishes you haven’t even discovered yet. Let the teacher of your Chiang Mai cooking class introduce some new dishes! Chiang Mai cooking class usually start with a walk through a local market to get everything to make the dish. Start the day off just as the locals do at the local market. Don’t expect to purchase any fake ray-bans or Chang tanks tops here! Part of Thai cooking is going to the local market daily to get fresh ingredients. What the heck is this in my curry? Ask the teacher, they will walk you through all the ingredients used in the Chiang Mai cooking class dishes. Make sure to ask him for the English name, so that when you are back at home you can find it at your local Asian grocery store. Also, see if there is a substitute ingredient you could use just in case you can’t find that exact ingredient at home. Curry is my go-to dish at any Thai restaurant. I love them all green, red, Penang, yellow, you name the curry I want it. On your Chiang Mai cooking class, you will learn how to make the curry paste, which is necessary for all curry recipes. Be prepared for a workout, a lot of elbow grease is put into making curry paste by hand. After what seems like an eternity of mortaring I now have a new appreciation for every bite of curry I take. After slaving away in the kitchen it’s time to eat all the tasty dishes created. For some reason meals always taste better to me homemade, I know what it took to make the dishes. No need to find a restaurant for dinner after your Chiang Mai cooking class, you’ll be stuffed! Bring a little part of your vacation home with you all the recipes from the Chiang Mai cooking class. Impress your friends with your new found cooking skills, and bring back memories from your time in Thailand at your Chiang Mai cooking class. I know every time I make curry (I cheat and buy the paste now), I think back to the time in my Chiang Mai cooking class that I made it by hand the very first time. 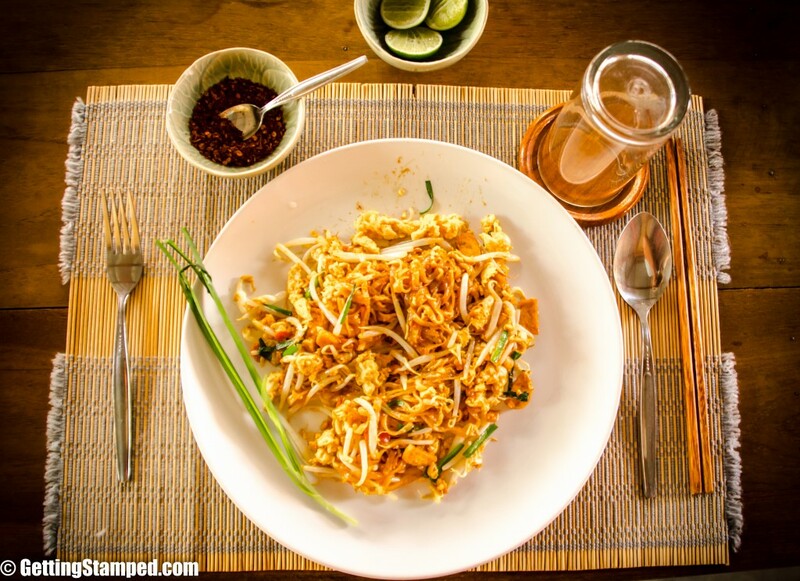 During our time in Chiang Mai, we wanted to learn how to make some of Thai favorites in our Apartment. We took the half day Thai cooking class in Chiang Mai. Our lesson included four dishes and a trip to the market to buy the ingredients for our tasty dishes. Tom Kha Kai – The prep for the soup was one of the easiest dishes we prepared that day. Using only a handful of ingredients we made a very flavorful soup, that to me, tasted like a soup version of a curry. Coconut milk and water served as the broth and coarsely chopped onions, kaffer lime leaves, and other herbs give a complex flavor. Papaya Salad – If you’re not careful here is the dish where you could lose a finger but in my opinion its worth the risk! Fresh green papaya is chopped, along with carrots, green beans and tossed with peanuts and a few special ingredients. For me, this was the most fun to make as we got to hack away at the papaya with a big knife, and the taste is fiery-sweet-goodness. Pad Thai – When most think of Thai food this is the dish that likely comes to mind. Thai style fried noodles with a sweet-savory, peanut flavor. This dish is easier than it looks and home-made is even better than it is on the street. Green Curry with Chicken – Making curry from scratch is no easy task, I have always cheated and bought the packets, but today we made the real deal, with mortar and pestle. Everything about this curry is green, all the veggies, and everything that gives it its flavor is green. 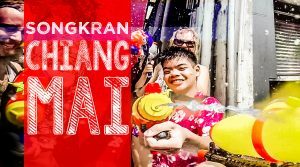 Chiang Mai is an amazing city and I hope you have time to take a Chiang Mai cooking class while in town. 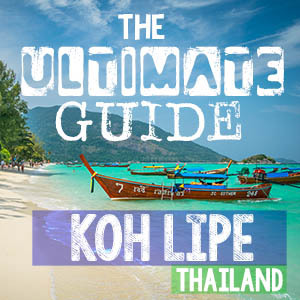 If not, make sure to check out our favorites in Chiang Mai. My husband and I will be visiting Chiang Mai this week and would love to take a cooking class. Do you have any recommendations for a class? Hi Jennifer, The best ones are the small ones. Unfortunately, many of them don’t make it like the tour we took. I think the best way to find one is once you get there to ask around at your hotel and be specific that you want a smaller local one and they will probably know someone. I would suggest avoiding the ones that have a pamphlet at a tour desk, but some of those will still be good too. Have fun in Chiang Mai!